Last edited by Chad; 10-15-18 at 06:48 PM. I'm really looking forward to this one today. I've never seen it and it looks right up my alley. 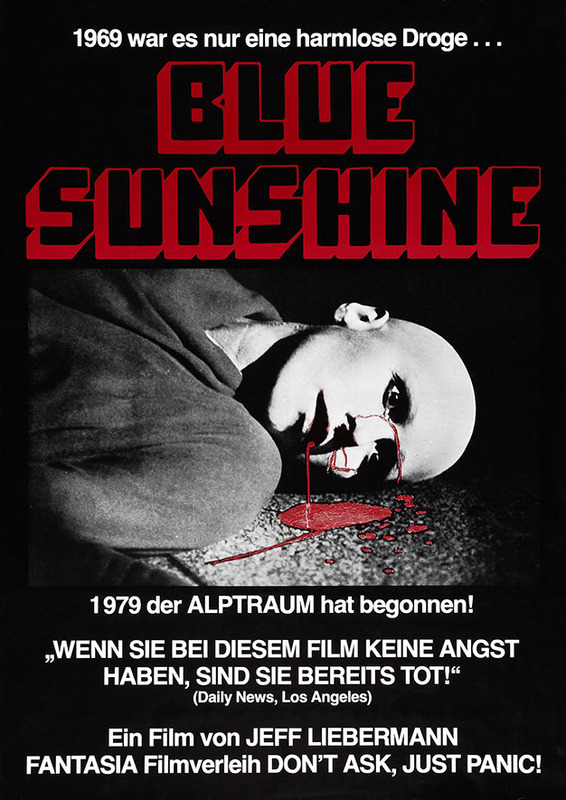 Really enjoyed Blue Sunshine; the grisly hair loss and horrific in your face violence well complimented the investigative aspects and the hooks were intense enough to carry through the sometimes slow aspects. Seems like these people become violent when their wigs get removed (or rather their wigs get dramatically removed right as they become violent); that's a great visual but kind of silly timing if you think about it. A lot of the visuals seemed like a nice time capsule of the era, I was not alive in 1977 but this is how I imagine the world looked then. 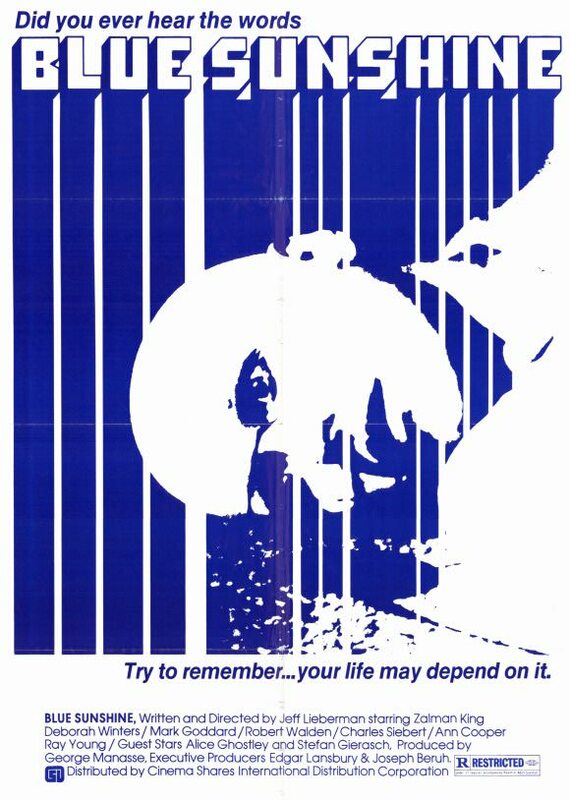 I like how the film heavily implied tainted LSD years ago was the culprit but never really beat you over the head with over explanation or resolution like some films these days do. The 'they're still out there' bit was great. A drug dealer who never took his own drugs in congress, that's a great jab at politicians. Last edited by Undeadcow; 10-02-18 at 03:30 PM. Loved watching this. At first I was thinking I was stuck with a director in love with his own style, but once the story really got going I was totally in. Felt like a movie made 10 years ago and set in the 70s, versus a movie actually made in the 70s. Great experience. I went into this movie blind. 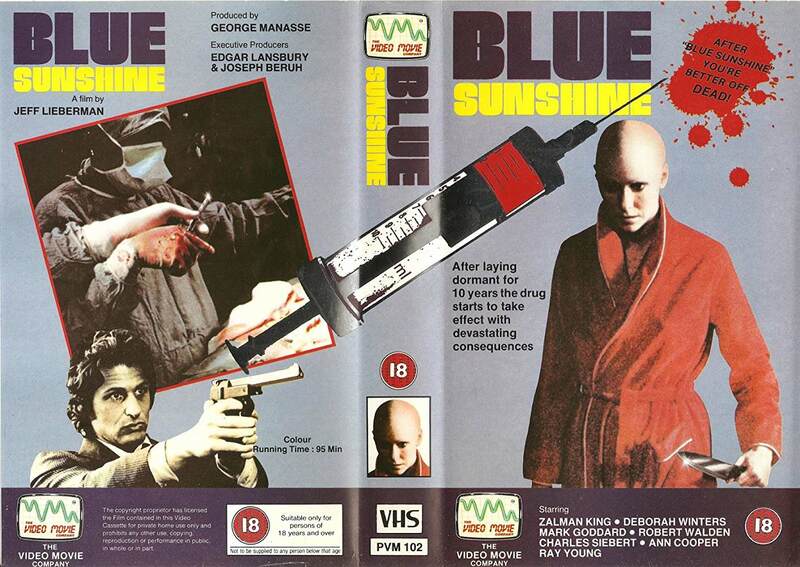 Wasn't sure what to expect from a film called Blue Sunshine. Thoroughly enjoyed it. Definitely gave me the kill count I had been missing in other views so far this month. Kind of wish I'd seen more of the cop and his family but maybe their deaths wouldn't have been as impactful if we had. Jeff Leiberman is a highly under rated director. I love this film and Just Before Dawn. 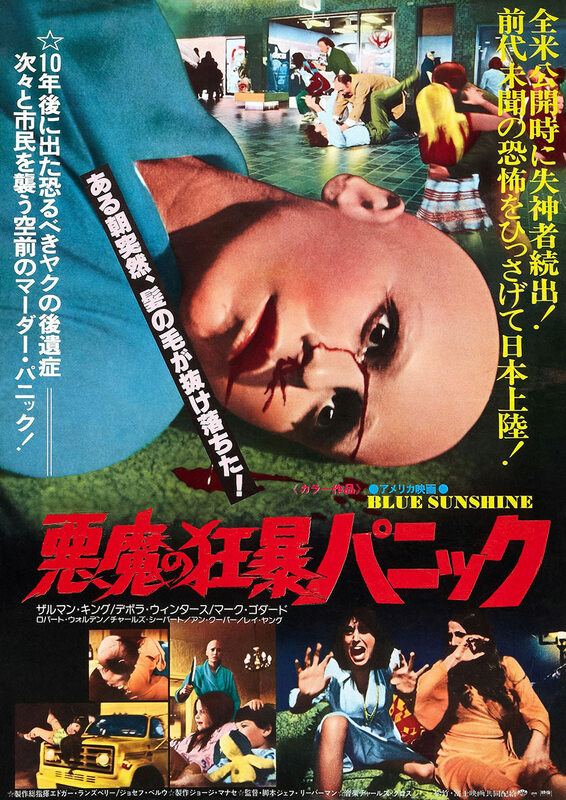 Blue Sunshine neatly captures the 60s hangover the young Boomers experienced in the 70s as their values switched from Woodstock Nation to the Me Generation. The boomers cut their hair, put on suits, went to grad school and shoved their youthful idealism in the closet next to their love beads and tie-dyed bell bottoms. The hero is also a moron; what kind of doofus handles a murder weapon after he tossed a bald psycho over a balcony? Last edited by Gobear; 10-02-18 at 10:27 PM. I think I am going bald - what should I be on lookout for to be sure I'm not going to Blue Sunshine my family and friends? Just in case it was nice knowing you folks. Fun watch. More on the funny/campy side than actually scary, but that's all to the good. Like previous commenters, I thought the bald head/weird eyes thing was cool. I wanted to see something actually happen to the politician dude. The main actor was appealing. I've never seen him in anything else. Odd but pleasant surprise for a horror film. So that's what Zalman King looks like. The look on the junkie when he realized a) he wasn't getting drugs and b) he lost his money. Another completely blind watch here. Enjoyed it, felt like a sort of time capsule. Need to re-watch it and explore it more. Is there a good media release with extras? I wasn't entirely sure of the point of that scene, but it was funny nonetheless. 'Make America Good Again', was one of the politician's tag lines. Was this political hyperbole, or were they hoping to go back to the 60s? 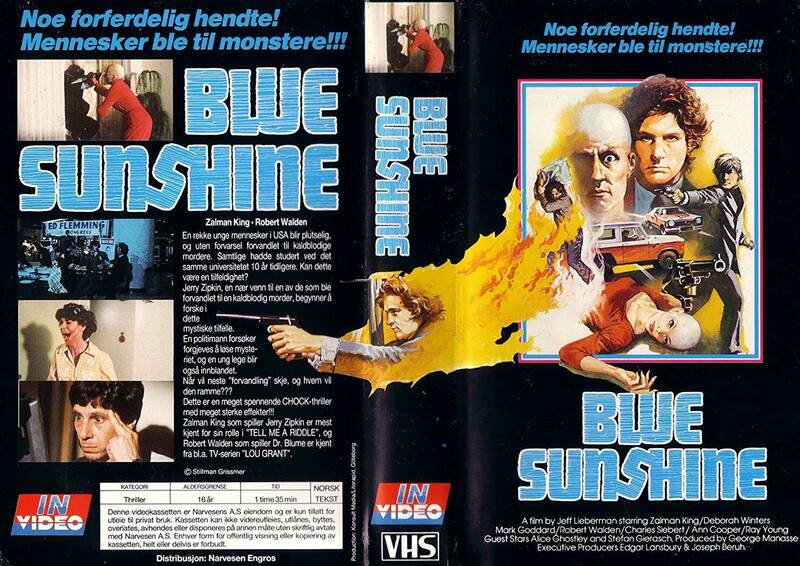 I've always enjoyed Blue Sunshine for the score. The story seems to plod a bit, but I've always had a spot for this movie upon seeing it about 10 years ago. Our hero is one intense dude. I think he could have got the cops off his case had he explained what happened over running. He always seemed to be in the wrong place at the wrong time. Or maybe he was always in the right place. I ordered the blu a few weeks ago, and the package came beat all to hell, but there are some really nice goodies in the package. There are loads of extras including a bunch of interviews and 2 commentaries. I picked up the blu ray on Diabolik. It comes with more physical goodies than usual - booklet, bookmark with campaign poster, "LSD tabs" in a baggie and more. Fun. As an aside I'm having problems getting my Blue Sunshine blu-ray case to close all the way because of all the tons of physical booklets, etc included with it in this three disc set. Good thing the slip cover sort of helps stuff it all in. This was ultimately a disappointing film for me. My favorite time period for movies is the 70's but despite periods of action there was also very slow/repetitive scenes that I did not enjoy. I've never seen this so I was very happy that it was picked but I felt that it ultimately fell short. I just went back and read the other comments which makes me think that I was possibly too hard on this. I did agree with many comments, such as good violence shown and the intensity of the main character. Unfortunately, those two aspects didn't put it over the top for me. Perhaps I should buy a copy of this with the commentaries and give Jeff Lieberman's a try. Regardless, as I said, it was a good choice and I was glad to see it. Stoned hippy flaps his arms like Rodan and I'm wondering if this is the world's first Red Bull commercial. These guys don't seem that concerned that they just blasted a guy with their semi. Was that not illegal yet in the 70s? "Hold it man, you move, you're dead." -me to the spider on the other side of my room. This is guy is examining some stray hair he found like me after I realize my hair is falling out in my 30s. I love that the soundtrack is using the string pluck noises that scared the hell out of me while watching The X-Files as a kid. When you need to escape your clingy girlfriend just hop on an escalator. It will act as a forcefield while creating distance between the two of you. Was it a rule that all politician characters in the 70s had to look like a Kennedy? With the Stanford connection in this movie and the recent confirmation hearings, I think I'm officially afraid of guys from Ivy League universities. Drink every time there's wood paneling. If a big truck goes by and you don't do the universal gesture for "home the horn" I don't want to know you. Priorities are different when you're an adult. I'm hoping for some relief to existential dread and these kids are rioting for Dr. Pepper. Fleming's muscle barreling through the dance floor is me trying to escape the Electric Slide at a wedding. (Bald psycho throwing people around the dance floor.) I know disco isn't for everyone but this is ridiculous. I like how disco saved their life from the maniac but they don't want to listen to it a second longer than is necessary. This was one of my favorite FTVs this challenge. I'm glad I bought the bluray which looked fantastic and seemed loaded with extras. I can't wait to rewatch it after the challenge. I've always had a soft spot for this scrappy little film. I was actually frightened by the movie poster and the TV spots, so I was disappointed when this never came to my town. I didn't catch it until Vestron released it on VHS way back when, and it didn't disappoint me. I love the intense '70s vibe that the film gives off, and any '70s non-musical film that has a disco scene automatically gains brownie points with me. 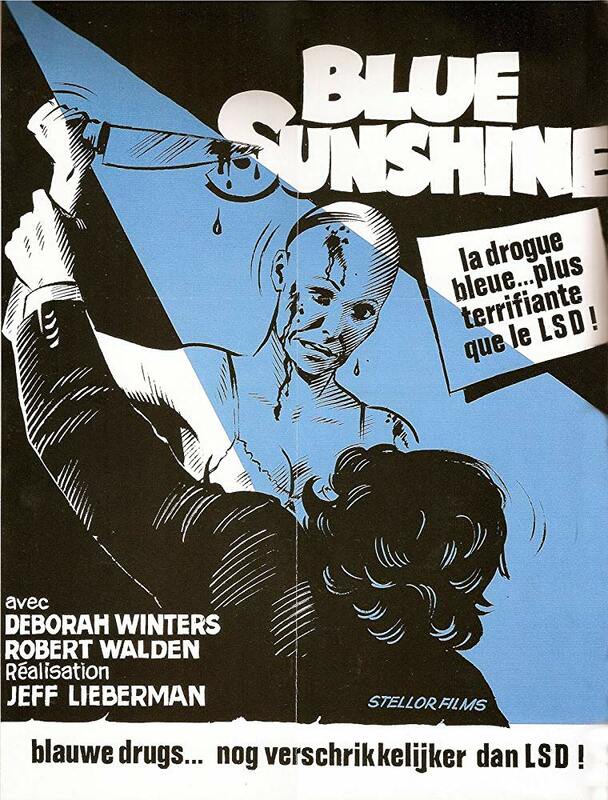 As numbercrunch noted above, Jeff Leiberman's films are always interesting. Count this rewatch as an early surprise for the month. I saw it during my second challenge. I was underwhelmed at the time. I liked some aspects of it but found much of it boring. I decided to splurge and purchased the Blu-ray. I'm really happy I did as the movie played much better for me this time. I think a lot of credit goes to the Blu-ray. It really looks incredible, much better than what I remember of the DVD. And I apologize to any of you who are follicly challenged friends out there, but these bald people were kind of creepy. I have the same problem, it's definitely one of the heavier/thicker single-film blurays I own. Feels like one of the stacked editions they would do back in the height of the DVD craze.